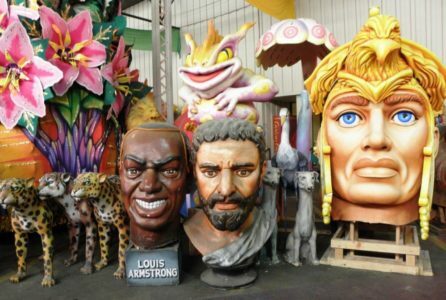 Mardi Gras World in New Orleans is where floats for the parades in New Orleans and other locations have been made since 1947. Think jazz and blues played in music clubs and by street musicians outside. If you guess that describes New Orleans, you’re right — but there’s more to the city than that. Think museums whose focus ranges from food and festivals to history and mystery. That’s New Orleans, too. Many visitors to “the Big Easy,” as it’s nicknamed, are seeking fun and frivolity. Those with something more educational in mind find an intriguing history, a rich cultural mélange and attractions that satisfy many interests. A good way to experience those diverse appeals is to check out the inviting choice of museums that many people overlook. They relate stories that enhance the sybaritic pleasures for which New Orleans is best known. Begin at The Historic New Orleans Collection. It occupies 10 historic buildings in the iconic French Quarter. Exhibits trace the history and culture of New Orleans, Louisiana and the Gulf of Mexico region. They document major historical events that have shaped that area as well as the everyday lives of people who passed through and settled there. Guided tours provide in-depth information for those seeking more than a casual introduction, and changing exhibits offer insight into various aspects of the story. I found especially interesting, in very different ways, two temporary exhibits which will last until the end of this year. “Giants of Jazz: Art Posters and Lithographs” includes 17 larger-than-life portraits by 20th-century poster artist, Waldemar Świerzy. Among legends depicted in the collection, along with information about the connection each one had with New Orleans, are Louis Armstrong, Ella Fitzgerald and Ray Charles. “Storyville: Madams and Music” relates another, very colorful chapter in the story of the important part that music played in the city’s past, as it continues to do today. Established in 1897, the Storyville neighborhood operated as a city-sanctioned red light district until 1917. Along with a number of brothels it attracted visitors with a collection of saloons, places to dance and, of course, music. Several musicians who played for the entertainment of patrons — and for tips — later went on to become famous throughout the country and the world. The exhibit recalls that colorful time with photographs, oral histories and recordings. Holding center stage is a collection of pocket-sized directories to the brothels and entertainment venues. These little tomes, known as “Blue Books,” portrayed Storyville as a luxurious playground of lavish mansions, fine music and elegant women. However, some artifacts in the collection present a very different picture of the rather less classy reality which existed at the time. Of course New Orleans is synonymous with Mardi Gras, the multi-day carnival, parade and excuse for over-eating and over-imbibing which has been celebrated there since the early 18th century. Two museums offer opportunities to experience different aspects of those festivities. 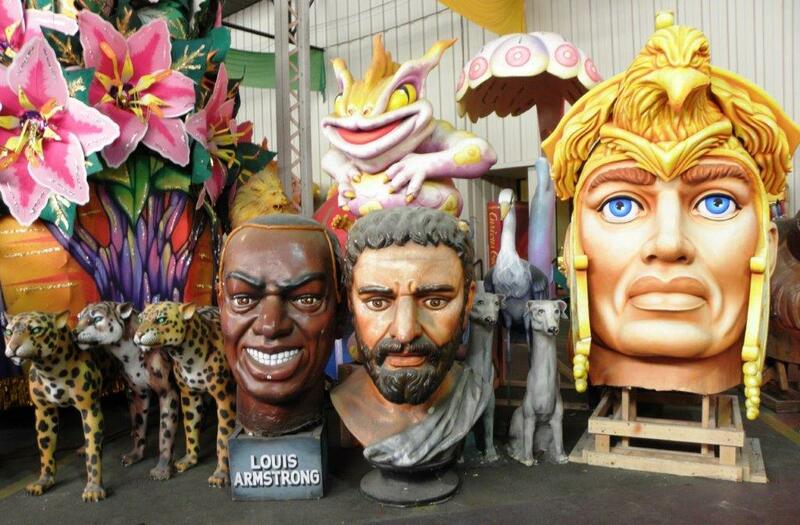 Mardi Gras World is where floats for the parades in New Orleans and other locations have been made since 1947. In a studio so vast it could have its own zip code, visitors see artisans constructing lavishly decorated floats. The scene is set in a video, followed by a taste of King Cake, a treat associated with Mardi Gras. This confection, which is believed to have been brought to New Orleans from France in 1870, is served throughout the carnival season. Strolling through the cavernous building, I felt like a Lilliputian in a land of giants. I was dwarfed by much-larger-than-life likenesses of cartoon figures, movie personalities and fantasy creatures. Oversized animals and flowers the size of trees loomed over me. 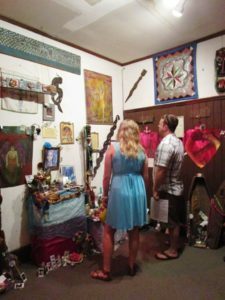 Speaking of voodoo, New Orleans offers opportunities to explore that combination of religion and superstition, which was transported there by slaves. I got my voodoo fix at New Orleans Historic Voodoo Museum, a collection which is both educational and entertaining. A jumble of paintings, sculptures, dolls, masks and other artifacts tells the story. I learned that objects used to invoke supernatural powers are employed more often to seek fortune, luck and love than for evil. Other museums also help explain why New Orleans is such a tourism magnet. The Old U.S. Mint, built in 1835, once produced millions of gold and silver coins. Today it displays instruments once played by notable musicians and other memorabilia which trace the history of jazz. The Jazz National Historical Park offers walking tours and exhibits that extend beyond music to local history and cultures. 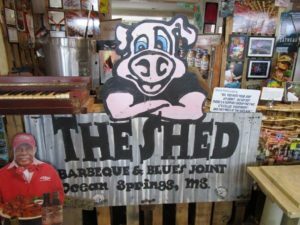 The Southern Food & Beverage Museum features areas for each southern state and tells the story of the region’s culinary heritage. Whether enjoying the food, listening to world-class jazz or checking other attractions, New Orleans offers a wide and intriguing menu of choices. For more information, call 800-476-1651 or log onto neworleans.com.